Sabin School was built in 1923 and is part of the Grant High School cluster. The school "strives to support all students in achieving their personal best and inspires them to participate in a democratic society by creating learning experiences that teach wellness, interdependency, lifelong learning, critical decision-making, empowerment & respect and regard for all people." 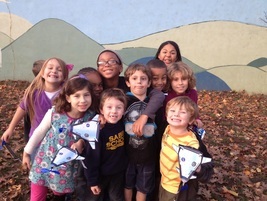 Sabin SUN School is "a full-service neighborhood hub where partners from across the community come together to make sure kids and families have what they need to be successful - in school and in life." In 1977, the Albina Library moved to NE 15th and Fremont. The library first opened in 1906 and moved five times before settling in its current location. 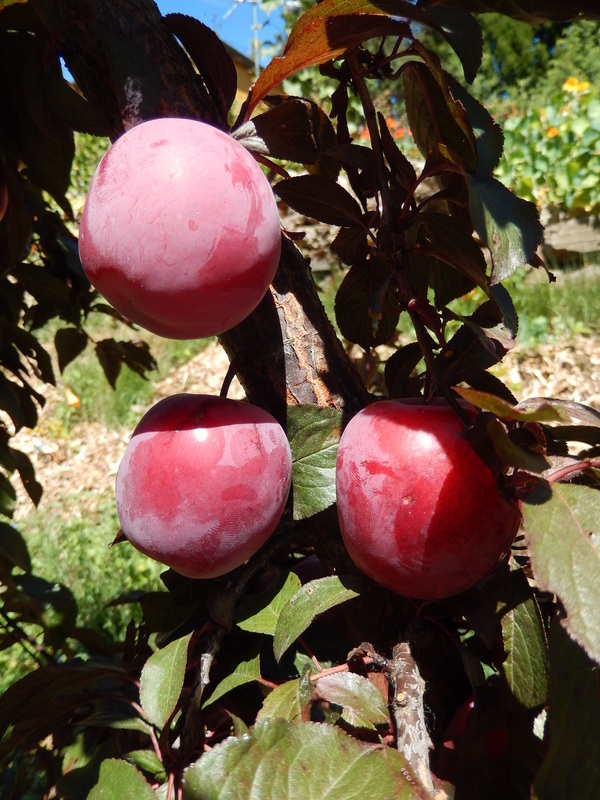 In 2005, the Sabin PTA created the Sabin Community Native Garden under the leadership of Emily Ziglinski. 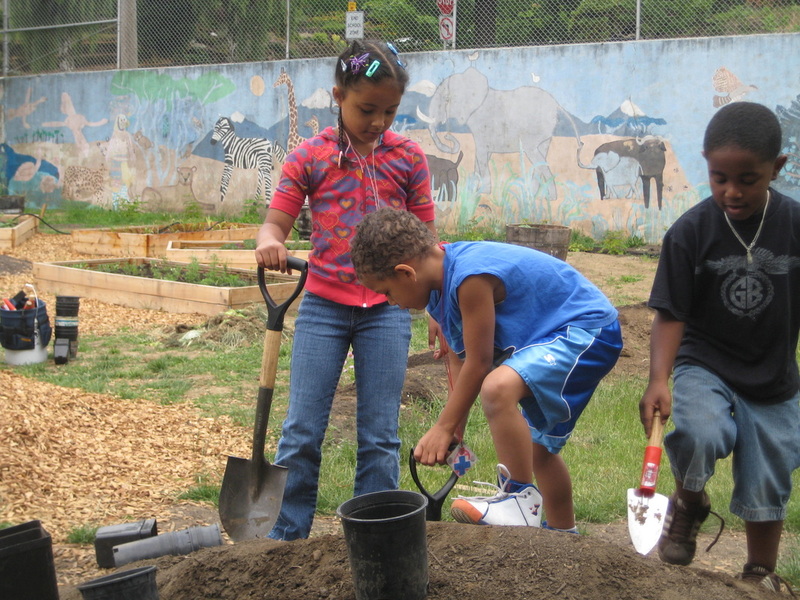 The garden was designed as a Portland Clean Rivers project to filter runoff from the blacktop adjacent to Sabin School, and to serve as a community resource and an outdoor classroom for Sabin students. In 2008, the City of Portland created the Sabin Hydro Park and the Sabin Community Garden near the old water towers at NE 21st and Prescott. The park is open 5:00 am to 10:00 pm. 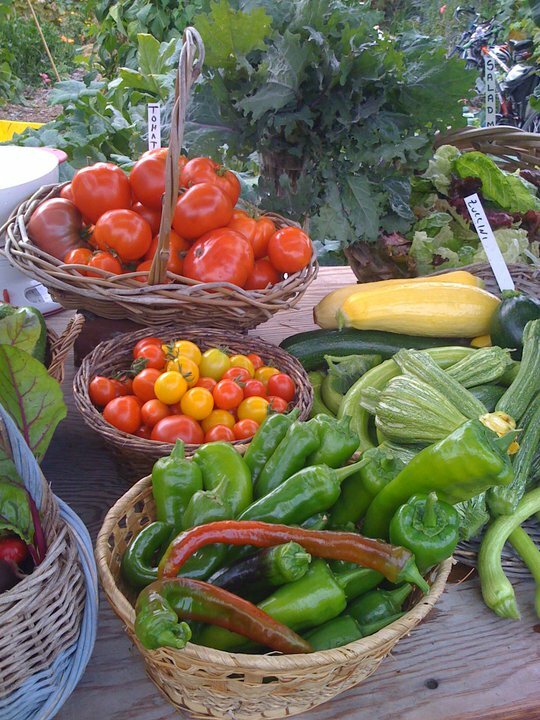 In 2008, under Ken Rumbaugh’s leadership, the PTA created the Sabin Edible Garden to give students at the school the opportunity to learn about gardening and healthy food. Matt Cartwright built the iconic gate from neighborhood scrap metal. 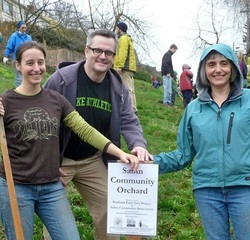 Beginning in 2010, neighbors converted an empty lot at NE 18th and Mason into the Sabin Community Orchard, with help from the Portland Fruit Tree Project and Mayor Sam Adams. Historically, the triangular area at the corner of NE 15th and Prescott was where the street car turned around. In the spring of 2011, the Board of Directors engaged Architects Without Borders to design a useful and attractive park for this space. 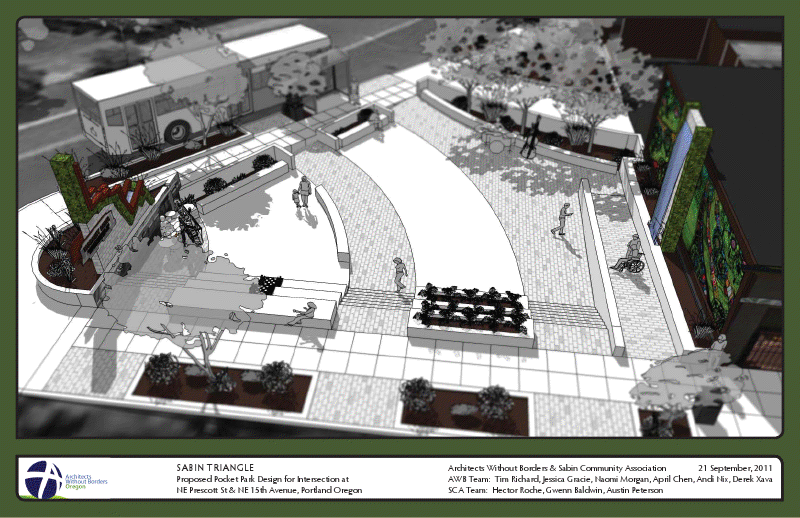 AWB developed a design incorporating bioswales, trees, seating and artwork. Due to the cost and time commitment involved, this project is currently on hold.